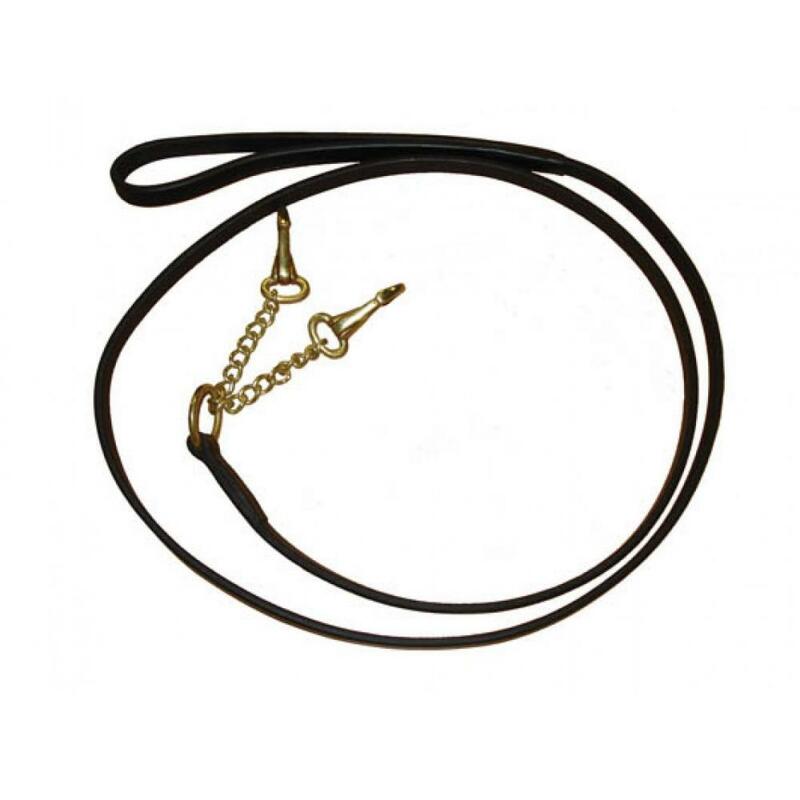 The brilliant Leather Two Chain Lead from Collegiate is made from a high quality European leather, features a brass coated chain and snap clips that attach to your horses bit for better control. Available in two smart colours. 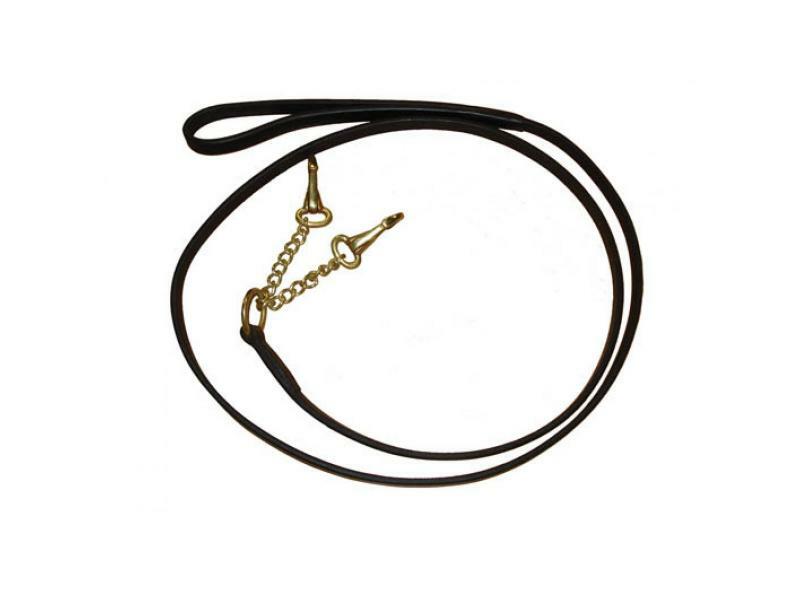 There are currently no questions for Collegiate Leather Two Chain Lead - be the first to ask one!